Indulge in this iconic West Coast city. 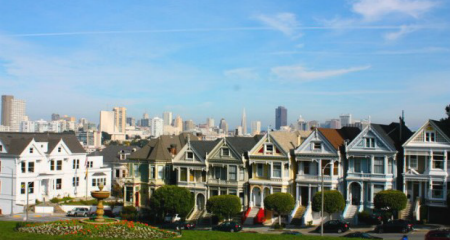 From the Golden Gate Bridge and the Painted Ladies to Chinatown and Fisherman's Wharf, San Francisco is legendary. With a few more than a dozen little neighbourhoods, there’s so much to explore on foot (and by cable car!). Indulge in the City by the Bay with our quick guide to planning the ultimate San Francisco vacation. Whether you’re coming in for a short layover, a long stopover or a proper well-planned holiday, getting to San Francisco is a breeze. San Francisco is one of the top 10 busiest airports for passenger traffic in the U.S., with several direct flights into San Francisco (SFO) from across Canada daily. Los Angeles international airport is about a 7-8 hour drive away. High season is from June to August and will see an increase in the average airfare. One of the best times to travel to San Francisco are the months of September and October, when the fares drop and the temperatures are slightly warmer. Direct flights are available from major Canadian gateways like Toronto, Vancouver, Calgary, and Montreal, several times throughout the day, and new as of May 2018: daily non-stop service from Edmonton to San Francisco with our flagship carrier Air Canada. 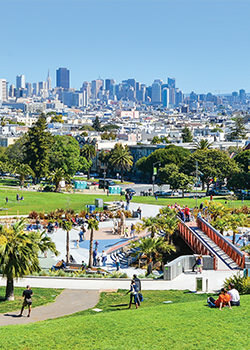 As an international hub for Star Alliance member United Airlines, San Francisco can easily be enjoyed as both a stopover destination or a trip of its own. If your plans include travel to Hawaii, Asia, Australia, New Zealand and the islands of the South Pacific, route through San Francisco to take advantage of your airline’s free stopover options and spend some time in the City by the Bay. The best time to visit San Francisco is during fall's low season (September and October), as well as spring (March and April). Fall tends to be warmer than summer, averaging 21C and smaller crowds. 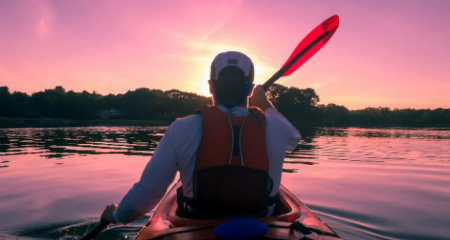 The summer months, from June to August, often bring cool winds and fog, due to the low pressure and winds from the North Pacific High but is generally the busiest time of year to visit (high season). 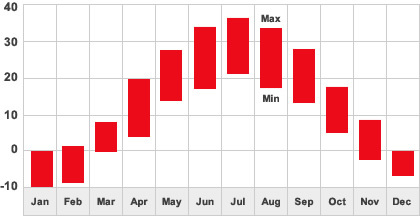 The average temperature from June to August is 19C. 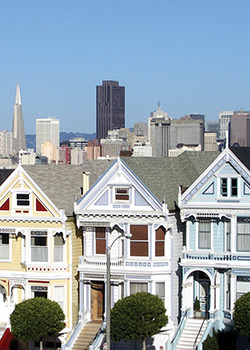 Below are some of our favourite must-see areas of beautiful San Francisco. More neighbourhoods to explore include: Nob Hill, Fisherman’s Wharf, Japantown, SoMa, North Beach, Telegraph Hill, Civic Center and Russian Hill. Go on, see for yourself! The Mission is a vibrant neighbourhood with incredible murals, a sprawling green space and contrasting storefronts catering to everyone from craft beer and fair-trade espresso drinkers to the district's deeply rooted Latino community. 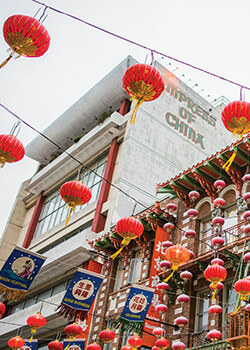 San Francisco’s infamous Chinatown is the largest outside of Asia, as well as North America’s oldest. It’s storied past can be explored through immersive tours of its famous streets and alleyways, making for the perfect walking tour. During the ‘60s Summer of Love, Haight-Ashbury became the birthplace and mecca of the hippie movement. Today, its bohemian vibe is present in its many vintage clothing boutiques, funky record stores and eclectic book shops. 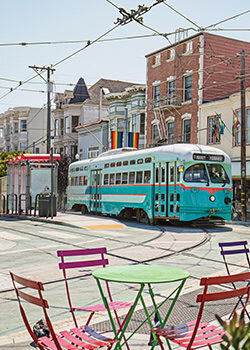 In Eureka Valley, The Castro is a prominent gay neighbourhood and LGBTQ community that was once the centre of political activism. Today, The Castro holds a street fair every October which was founded by local icon, Harvey Milk. Union Square is one of the city’s main retail and cultural centres, offering a large collection of boutiques, department stores and art galleries. Along with a grand plaza and stage, you’ll find numerous restaurants and hotels here too. San Francisco and the Bay Area is a world of wonders, from its urban adventures to its Redwood forests. 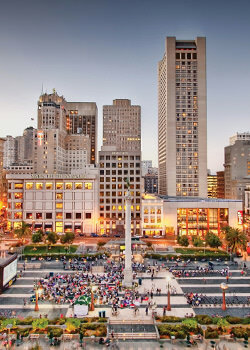 Here are a few of our favourite things to do in and around San Francisco. California’s Wine Country is worlds away from the hustle and bustle of the city, making for a perfect day trip. 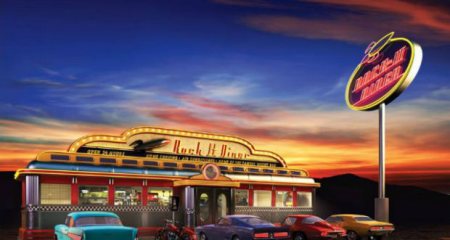 Sample a wide spectrum of California varietals in Napa and Sonoma, feast on local farm-to-table fare before taking to the skies on an exhilarating hot air balloon ride. This famous former prison is located on an island in the middle of San Francisco Bay, offering tours both day and night. Known as ‘The Rock’, iconic Alcatraz is one of San Francisco’s most popular (and creepy) attractions. Book in advance as tours, especially night tours, fill up quickly! Photograph or marvel at San Francisco’s often fog-enveloped bridge de resistance from various vantage points, like Marin’s Vista Point and Hitchcock’s famous Fort Point. The famous Art Deco design impresses even the most worldly travellers with its staggering 1.7 mile span. This festive waterfront marketplace is one of the city’s most visited attractions, and a must for any first-time visitor. Come for the photogenic sea lions of Pier 39 and stay for the comforting clam chowder bowls, a pint of a local IPA and the residents of the Aquarium of the Bay. Cable cars have been transporting residents around San Francisco since the late 19th century. Now a tourist attraction too, these classic trolleys have become as iconic as the Golden Gate Bridge and a quick ride has become a rite of passage. Board at the Powell & Market St Turnaround. The Mission might be San Francisco’s oldest neighbourhood, but this district has turned into one of the trendiest parts of the city. Walk among the hippest locals in town, stopping for artisanal eats with some of the most beautiful murals and legendary street art in the city. World-renowned for its abundance of waterfalls, crystal clear streams, towering Sequoias and stunning granite cliffs, Yosemite National Park attracts over 3.5 million visitors each year. Visit for the day or hike and set up camp in this pristine and unspoiled wilderness. From beatniks and blues masters to sailors, hardened fishermen and karaoke kings, North Beach is full of colourful local identities and fanciful folk heroes. Pull up a stool over an Anchor Steam ale and get to know them all in one of San Francisco’s most bohemian and fun districts. From San Francisco’s modern boutique hotels to upscale five-star resorts and everything between, we’ve selected some of our top hotels to stay in San Francisco. This waterfront and pet-friendly boutique hotel creates inviting spaces for guests to eat, sleep, and play. Each room is nautical themed and the outdoor games room and Camper food truck makes the Hotel Zephyr a relaxing home away from home in between sightseeing. With turn-of-the-century charm and elegance, this vibrant hotel in the heart of Union Square is near shopping, galleries, and restaurants. Guests can enjoy the outdoor heated pool in the courtyard, stop for a drink at the bar, and relax in a warm atmosphere with personalized service. Stylish and sophisticated, this Marriott is spacious from its guestrooms to the special events spaces to the full service spa, fitness area, and cocktail lounge on the 39th floor, fittingly named The View. Experience the grandeur of luxury atop Nob Hill with an awe-inspiring glimpse into historic San Francisco. Featuring panoramic views of the City and the Bay, and offering the perfect combination of classic ambiance with modern amenities in a central location.